Red tape reduced for truckies who re-register before July 13. RED tape will be reduced for truckies who want to take advantage of registration decreases in Queensland, which came into effect on July 1. As companies have started to cancel the registration on their heavy vehicle trailers and re-registering to take advantage of the fee decreases, the Department of Transport and Main Roads had advised that some vehicles would not need to be remeasured. 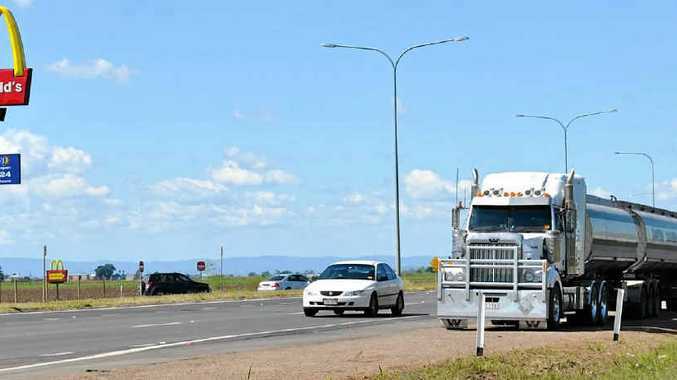 In a special edition of News Brief the Queensland Trucking Association said TMR will be impacted by the large amount of businesses jumping to reduce their fees. "To lessen the impact, by a small amount, approval has been given from registration policy to exempt the requirement for the vehicle to be re-measured," the News Brief said. Conditions are the registration must be cancelled and reinstated on the same day, the vehicle must be re-registered in exactly the same registered operators name and the vehicle must have the same garaging address. The exemption will be available for a two week period. It started on July 2. Meanwhile those companies accredited in National Heavy Vehicle Accreditation Scheme or Maintenance Modules will not require new certificate of inspections to cancel and re-register their vehicles - as long as the vehicles go straight out of NHVAS Maintenance Management and back in again. A fee of $27.65 per vehicle per module to re-enter maintenance or mass management will need to be paid when re-registereing and a vehicle amendment form (F4034) needs to be sent along with the receipt for NHVAS fees to the Administrator PO Box 673, Fortitude Valley, Qld 4006. The NHVAS will not send new labels for vehicles, instead they will carry over the existing label numbers with new rego plates (if they have been issued).